Richmond Musician Matthew E. White Teams With Flo Morrissey for a Free-Floating Album | Music | Style Weekly - Richmond, VA local news, arts, and events. Shawn Brackbill One of Richmond’s top musical exports is bringing his new collaborator to the Broadberry on Feb. 7 for a rare show. When Matthew E. White was invited to take part in a tribute to American songwriter Lee Hazlewood at London’s Barbican Centre, the producers asked if he’d like to perform a duet with anyone. He thought of Flo Morrissey, a young breakout United Kingdom artist. White’s initial connection with Morrissey was driven by chance. The Guardian, a British newspaper, featured new songs by both artists on a January 2015 playlist. “I tweeted at her that I really liked her song,” White says. “She replied and after that we just kind of kept in touch. It was very loose and friendly.” They met briefly when he was on tour, but most of the conversation was virtual. The musicians found they had a lot in common. And there are only so many people you can talk with about the nature of the job, White says. They talked about working together on a larger project of eclectic covers, assembling and whittling down a play list. The resulting recording, “Gentlewoman, Ruby Man,” is now available online everywhere, and made immediate noise on music blogs for a sultry cover of Frank Ocean’s breakthrough hit, “Thinking Bout You.” But there will be only four chances to see the collaboration live on tour: in London, Paris, New York — and yes, Richmond. It’s the latest in a series of pleasant surprises in the metamorphosis of White from an avant-garde jazz bandleader and Richmond arts champion into a soulful Southern alt-rock icon and boutique orchestral producer. White’s first record, “Big Inner,” was an astounding combination of intimate, frequently spiritual lyrics cantilevered against a cinematic sonic palette. The sophomore release, “Fresh Blood,” is more outwardly focused, perhaps reflecting White’s rising trajectory from opening act on a Mountain Goats national tour to international headliner. White has always attracted great musicians to his projects, and his onstage persona has grown to match the sonic muscle of his music. The easy humor and extroverted confidence may be a revelation to those who know only his self-effacing leadership of Fight the Big Bull, or his poetically restrained early “Big Inner” set at Balliceaux. At the same time, White and his cohorts in the Spacebomb Group, including an extended musical family that encompasses a wide cross-section of leading local musicians, have made Richmond a recording destination. It’s a place for independent artists (Slow Club, Foxygen, Grandma Sparrow) to record classically lush, multilayered albums on a relatively spare budget. Given that there’s no practical way to top label arranger Trey Pollard’s sweeping, technicolor arrangement for Natalie Prass’ “It Is You,” the logical next step might be to highlight the label’s stripped-down capabilities, focusing on the primal, hard-rocking charms of White’s touring band: drummer Pinson Chanselle, bassist Cameron Ralston and guitarist Alan Parker. Of the new collaboration, White has never been much for predictability. The final mix for the new album has a bit of everything, from Ocean and Charlotte Gainsbourg to Leonard Cohen and the Velvet Underground. White describes the weeks Morrissey was recording at Spacebomb as special and intense. Any album that contains the theme song for the musical “Grease” and the Sanskrit prayer “Govindam” covers a lot of musical territory. But the final product is remarkably unified. The arrangements leave ample space for the band to shine through White’s confidential whisper-singing and Morrissey’s crystalline clarity. 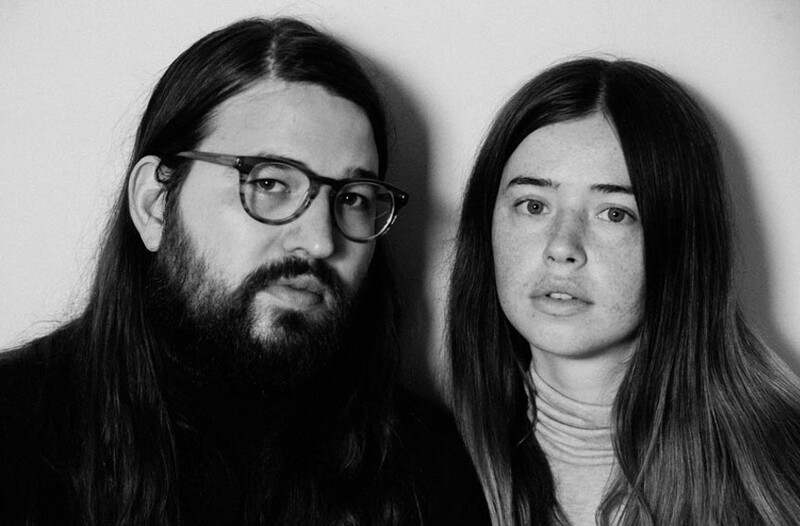 Flo Morrissey and Matthew E. White sing “Gentlewoman, Ruby Man” (must-see outsider artist Lonnie Holley opens) at the Broadberry on Tuesday, Feb. 7. Doors open at 7 p.m. Tickets cost $12 to $15 on the day of the show.